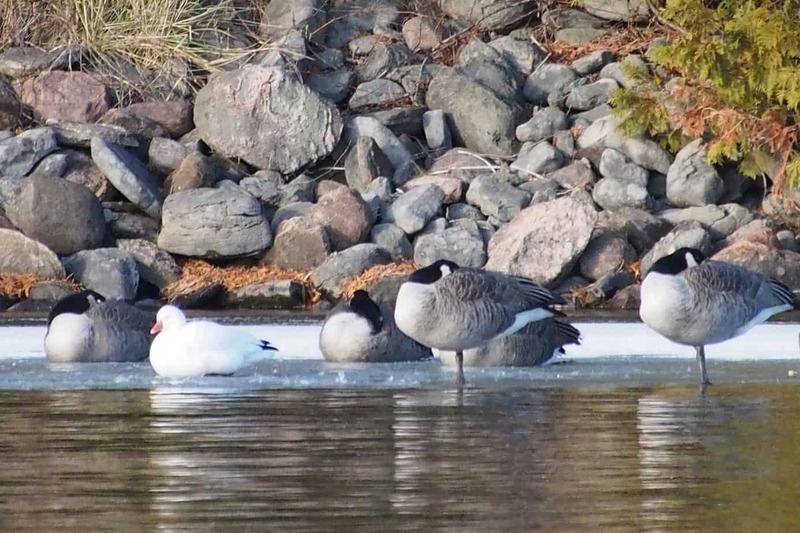 Don Sutherland, Simon Dodsworth and I went out at lunch today, December 1, to look for the Ross’s Goose found earlier today by John Fautley and Marie Duchesneau. 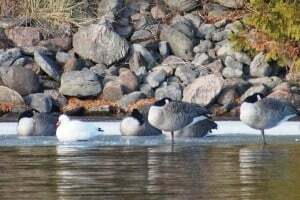 It was present among the Canada Geese as soon as we arrived. 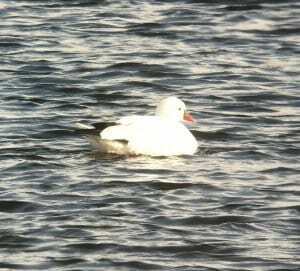 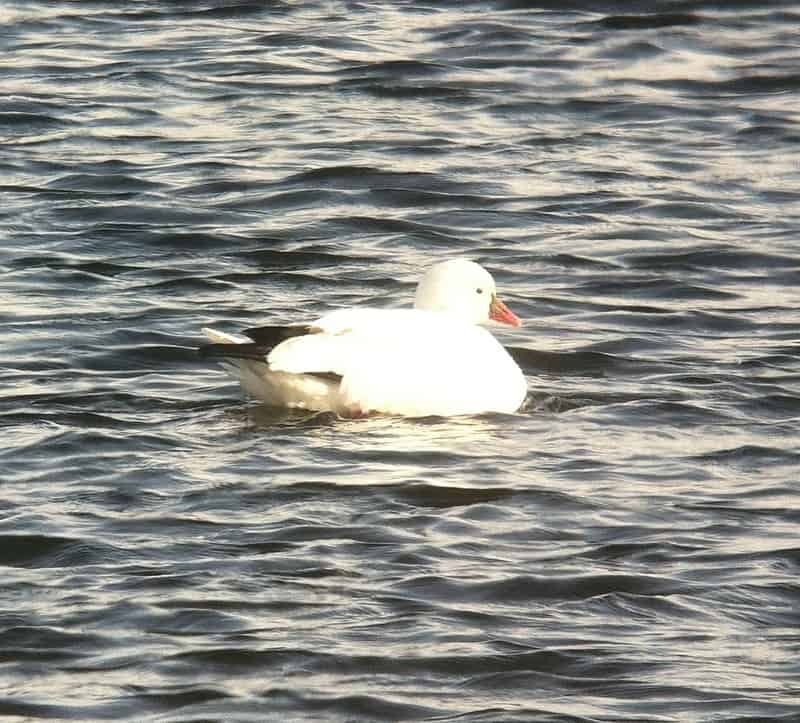 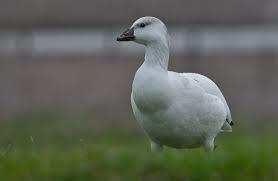 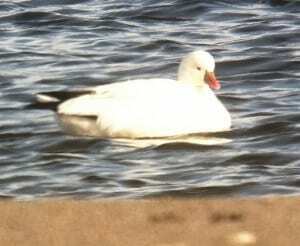 Attached are some photos showing the very stubby bill, greyish/purple at the base, and the lack of any “grinning patch” (present in Snow Goose). 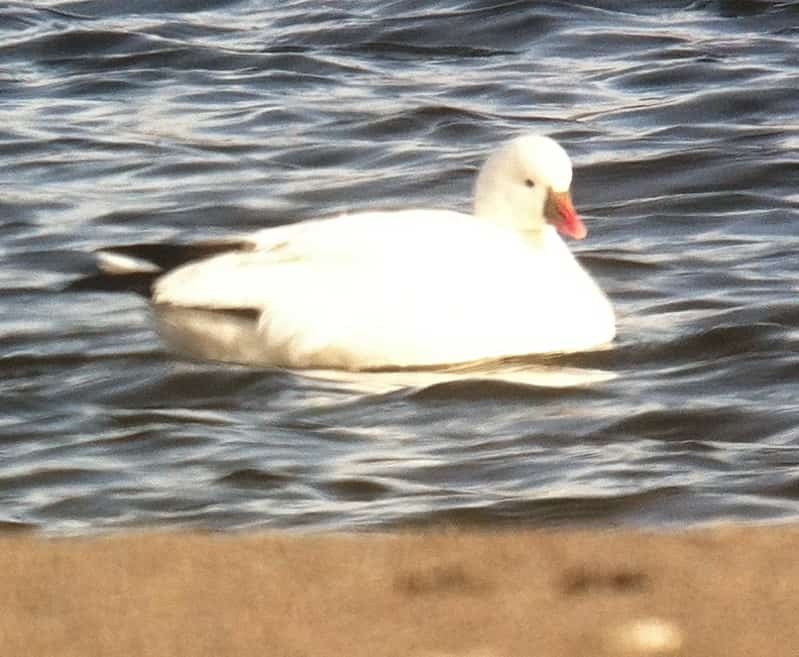 Great find John!